The Pitch: My Two Mums. The Review: Whenever awards season rolls around, the trend in more recent years has been towards at least one movie which may as well have been called “For Your Consideration”. The likes of Little Miss Sunshine and Juno, not to mention almost the entire output of Wes Anderson, seem to have a slot reserved for Oscar contention, into which this year’s offering will slot. So this year’s award magnet seems to be The Kids Are All Right, which has dipped into the bin of indie script ideas that produced dysfunctional family (Sunshine) and teenage pregnancy (Juno) and has now pulled out lesbian parents. Often, the indie of the year will be an opportunity to finally recognise an older actor (Alan Arkin) or to give an up and coming their big break (Ellen Page). This year almost feels like an attempt to do both; Julianne Moore and Annette Bening have seven Oscar nominations between them and both get roles to get their teeth into, with both delivering characters that sit well in comparison with their previously nominated performances. Mark Ruffalo, one time MTV award nominee and soon to be third choice Hulk, might feel a little put out at being described as up and coming but his star is certainly on the rise, and it’s actually Ruffalo who gives the most rounded and likeable central performance, but is most likely to get lost in the more crowded male award categories come next year. 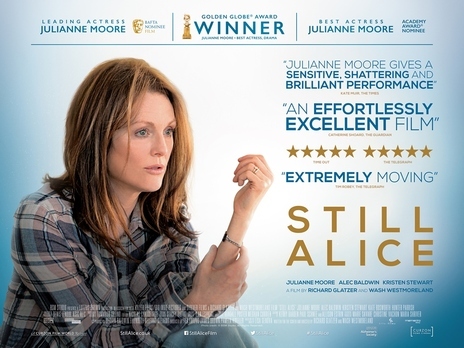 The narrative itself is also a little uncomfortable in places; a reference to straight actors in gay roles early on in proceedings couldn’t be more knowing or self-referential if Julianne Moore turned to camera and winked, and that’s not the only occasion on which the film is guilty of having its cake and trying to eat it. The actors invest plenty of emotional honesty into their performances, it’s just a shame that there is the odd occasion where it all feels a bit forced. Stick with it, though, and eventually the drama feels earned and the good work of the whole cast starts to bear fruit. In the pantheon of indie Oscar movies, it never reaches the heights of Sunshine or Juno, maybe because it is trying just a little too hard at points. It is generally positive and uplifting rather than cynical about the various forms that modern family life can be found in, and doesn’t judge or preach. As long as you go in with the expectation of excellent actors elevating some decent if unspectacular material to a noticeably higher level but never reaching true greatness, then you shouldn’t go far wrong. Why see it at the cinema: Cholodenko’s direction isn’t hugely cinematic, but the drama will benefit from having space to breathe once the early self-consciousness is out of the way. This entry was posted in Reviews and tagged Annette Benning, indie drama, Julianne Moore, lesbians, Lisa Cholodenko, Mark Ruffalo, sperm donor.